So it comes to no surprise that most people don’t actually sit down for a healthy breakfast before heading out the door and starting their day. Whether you’re off to work, off to school, or spending the day studying, your brain needs power to get through. And because you’ve been sleeping, it is starved for nutrients and vitamins. This is for you, non-morning-person. This is for you, Miss-trying-to-stay-awake-and-make-it-til-lunch-when-you-can-have-a-real-meal. I know you’re used to running off of coffee and fumes. 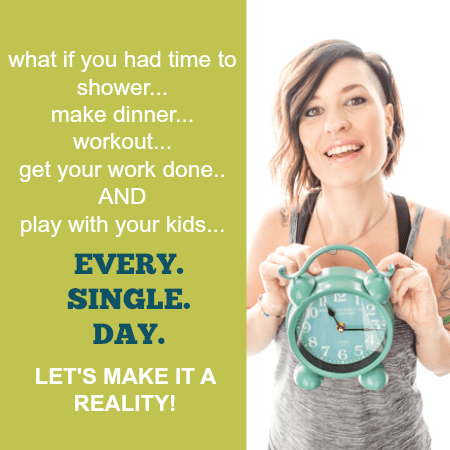 I’m telling you now that it is time to take charge of your mornings and power-charge them into healthy and productive energy-based mornings. I have a few simple tips that will make breakfast easy, healthy, and totally do-able. Even if you claim to not have any time because you just barely rolled out of bed, grabbed the nearest cleanish outfit, and threw your hair into a top knot. So let’s get to it and power charge your breakfast routine! 90 minutes max! Like I said, your body hasn’t gotten food for HOURS! During the day, would you go 8 hours without eating? Probably not. So make sure you are putting fuel in your body very soon after you wake up. TIP #3 – Skip the drive-through breakfast! This has got to be one of the worse things you can do for yourself and your health. Stopping by McDonalds, Burger King, or wherever else people drive through for breakfast is absolutely unnecessary. The food you are paying for is definitely not quality. It is not what your body wants and needs. It is pure junk – I hate to say it, but it’s true. In all actuality, I’m not sure WHAT is in those fast-foods, and I don’t care to find out what it is doing to my body. Now, don’t get me wrong. I used to love me a good Egg McMuffin back in the day. And that’s why I had to create my own version at home! It takes a few extra hours on the weekend to prep, but then I’m set for weeks! Donuts may be the absolute worst thing you could eat for breakfast. It’s basically cake for breakfast, and although I know that may seem acceptable to a busy and stressed woman like yourself, it’s definitely not the best way to live your healthiest morning. 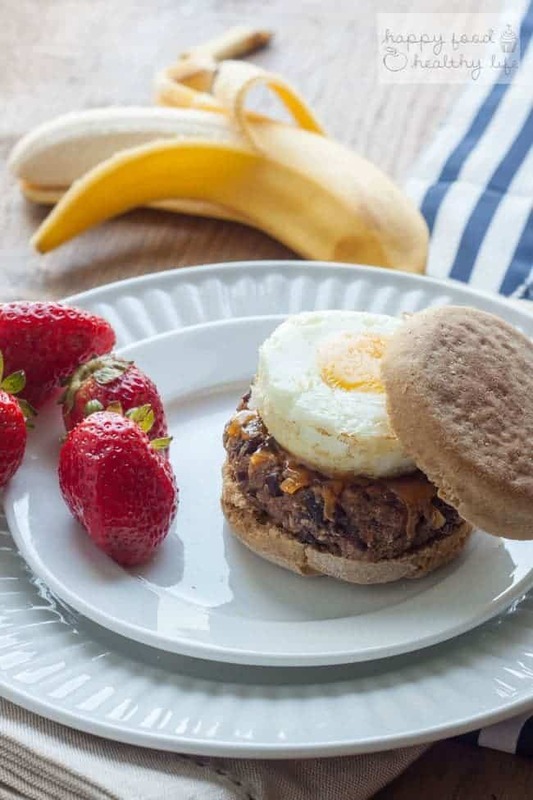 Instead, opt for a toasted whole wheat english muffin topped with almond butter and honey. You can make a bunch of muffins from scratch one day and have them ready to grab from the freezer in the morning. Here’s the recipe for that! It’s little substitutions here and there that are going to make a difference in your health, and for me choosing a plant-based milk is totally important. There’s so many options these days that it’s easy to make the switch. There’s almond milk, cashew milk, soy milk, rice milk, oat milk. And you can either make them yourself or you can buy it from the grocery store. And almost all stores are carrying non-dairy options these days. Since we’re talking about cereal, let’s talk types of cereal. 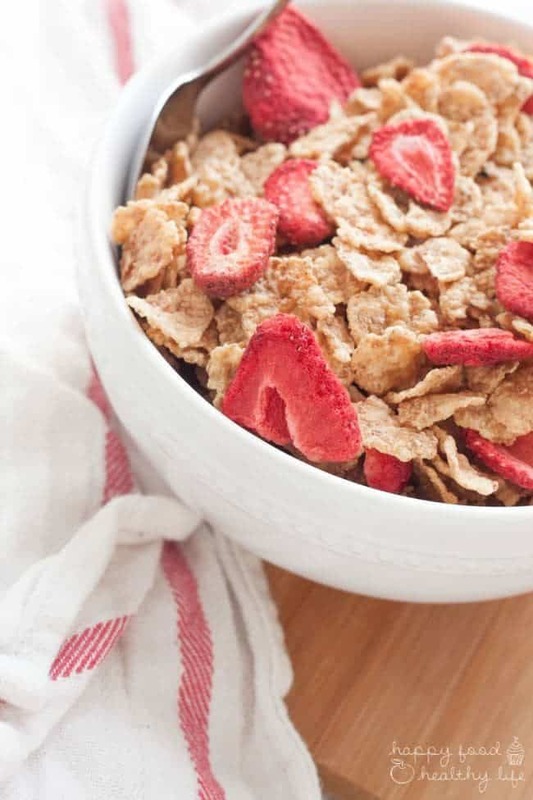 You’ve got to know that there are some really really junky cereals out there that will do nothing but spike your blood sugar and cause you to crash in no time at all. In fact, I’m pretty sure I saw a cereal on the shelves the other day that was created by a local chocolate candy company. Wow… that’s all I have to say about that. Thank goodness, there are some smarter options out there for those of us who still love to eat cereal in the morning. I have got to tell you. As a kid, my favorite cereal was Special K. I know, most kids were munching on Count Chocula and Fruity Pebbles, but those just weren’t my jam. And I never thought of it as a health food or anything. I genuinely always loved the taste. And now, as they are introducing their new Special K Red Berries variety, I’m even more in love! 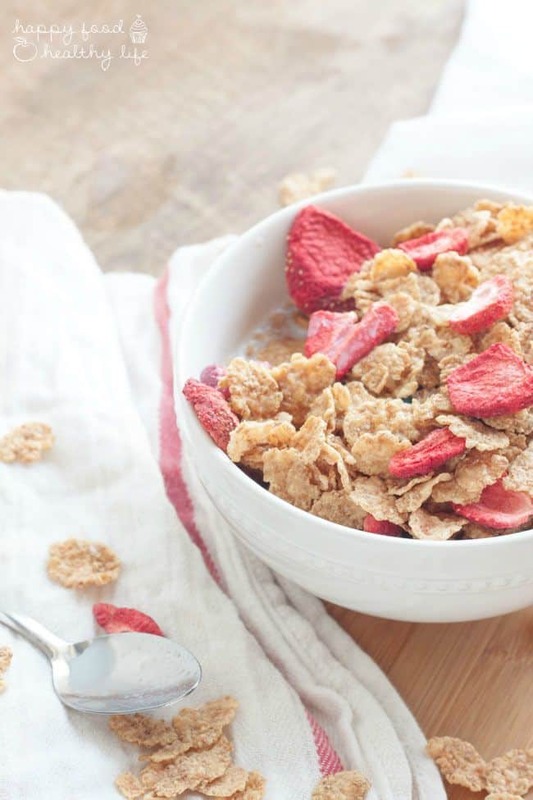 Picking the right cereal is one way to health-hack your breakfasts! There are SO many berries in each box now, which totally makes my tongue happy. And it’s the perfect option for a quick breakfast in the morning because it’s make with whole grains, which is a total win in my book. Special K is partnering with chef and TV personality, Laura Vitale of Laura in the Kitchen, to help women eat delicious food with positive nutrition. And here at Happy Food Healthy Life, that is exactly what I am about. Eating delicious food that is full of nutrients and health-benefits. 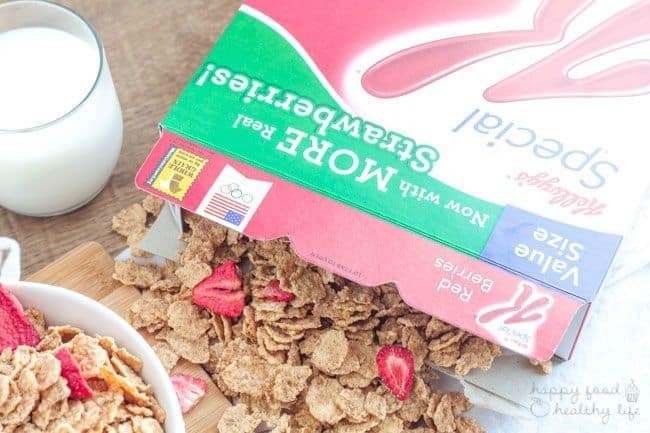 Special K is here to support women on their wellness journeys and show that with a few simple food swaps throughout the day, it’s easy to eat special and feel special. Make sure you get more information about this movement by clicking here as you continue on your own journey! This is a sponsored post written by me on behalf of Special K® Red Berries, but as always, all opinions and thoughts are my own.